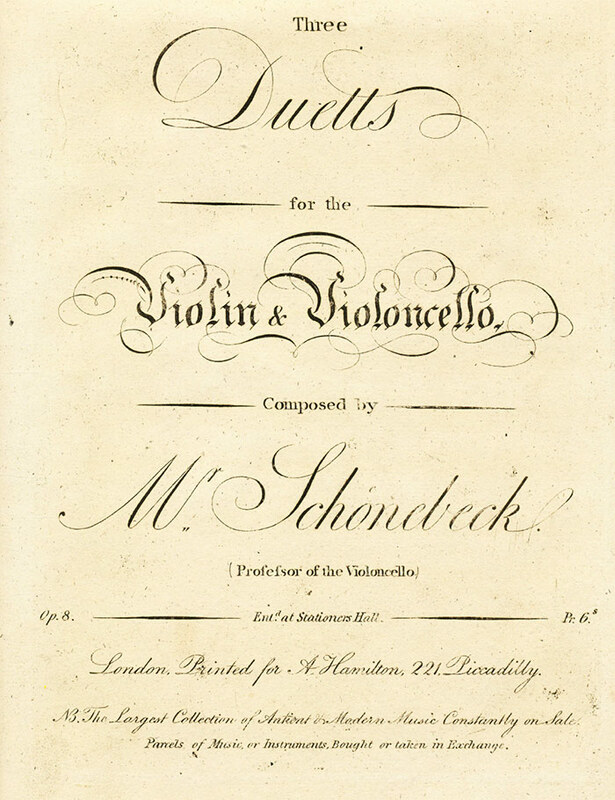 Schönebeck: Duett for Violin and Cello, Op. 8, No. 1 in D Major. Facsimile of ca. 1800 edition (parts only) and modern performing edition, score and parts. Karl Siegmund Schönebeck (1758 - ?) was active in Leipzig and wrote several concerti, operas, and Three Duetts for Violin and Cello, Op. 8, ca. 1800. Duett No. 1 opens with a sonata form, continues with an Andante slow movement and concludes with a Rondo.